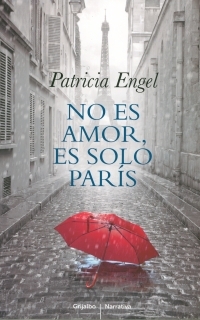 "Sumptuous... To immerse oneself in Engel's prose is to surrender to a seductive embrace..."
Patricia Engel is the award-winning author of The Veins of the Ocean, Vida, and It's Not Love, It's Just Paris. Las venas del océano, su más recién novela, fue publicada en 2018 y Vida fue ganadora del Premio Biblioteca de Narrativa Colombiana 2017. Copyright © 2019 Patricia Engel. Site by AuthorBytes.